Thank you for your support of Every Library! Muriel and I are very excited to say that our enamel "I Love My Library" Pins sold out, and have now all been shipped! 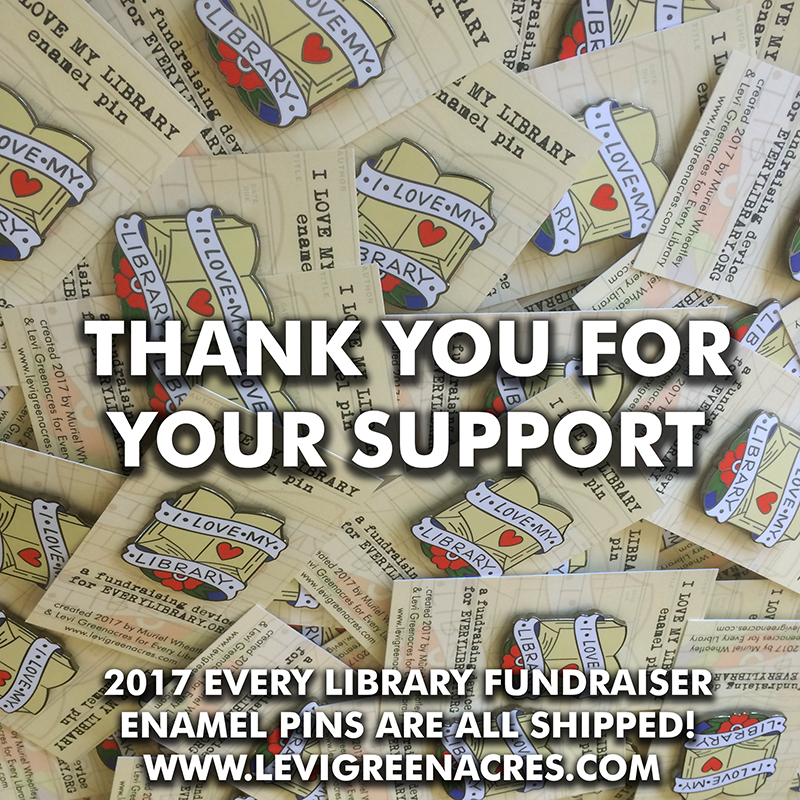 Thank you to everyone who purchased one of the limited edition pins we had made, which benefits the amazing work that EveryLibrary does to help libraries across the country stay open. If you didn't get a chance to purchase one, but would still like to donate directly to EveryLibary, you can do so here. And, if you really want a pin and want to help EveryLibary in the future, we'll be announcing a Kickstarter soon to take pre-orders for another run of these cool pins, so that everyone who wants one will have a chance to show their love. Stay tuned for news on that, and thanks again.